I ran across this Hydroponic Water Test Kit while I was at the 2013 Indoor Gardeners Expo hostedby Maximum Yield. 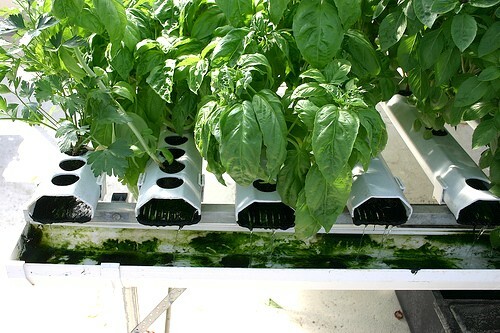 This is something I think a lot of people can benefit from, and something which I was looking for when I first got into hydroponics but it didn’t yet exist yet (or at least I wasn’t able to find anything like it at the time). This Hydroponic Water Test Kit is made by Discover Testing and is ONLY $17.95, which I think is a great price considering what it accomplishes. So what this kit comes with is various supplies which can be used to test for 6 different factors that, if they aren’t up to par, can inhibit growth of your hydroponic plants. It is one time use and only really needs to be performed on your tap water once unless for some reason you expect that the quality of your tap has changed drastically since the last test. Take your water sample, insert it into the test vial. The vial contains a powder which is what will react with your tap water in order to determine whether it contains harmful levels of “bad” bacteria. Simply add water, shake for a few seconds, then leave somewhere that has a temperature of 70-90 degrees and let sit for 48 hours. Take the included pre-measured pipette and use it to fill the vial with a single squeeze of your water sample. It will only be a few drops but this is normal. Next, take your test strip and put it into the vial, and let it sit for a period of 10 minutes. Negative: Left line darker than the right line, or if both lines are equally dark. The third test will let you know if you have levels of iron in your water which are above the threshold for water used in hydroponics. Simply take the included test strip and place it into your water sample, wave it gently back and forth for 5 seconds in the sample and then remove. Wait two minutes and read results. Compare the color of your test strip to the below chart to determine the iron content (in PPM) of your sample. The final test included with the water quality test kit will determine the pH, Hardness & Chlorine content of your water sample. Simple dip the included test strip into your water sample, remove, and wait 15 seconds. For those of us not using reverse osmosis water, this is by far the best way to determine if your tap water is of acceptable quality to be used with hydroponics. All growers using tap should perform this test on your water prior to use, to determine if additional filtration is required. Please note that in the final test, the pH can be changed after the fact and the chlorine can be removed by simple letting it sit out in the open air for a day (it evaporates within 24 hours). So don’t fret if those numbers don’t look good to start out with as they can easily be corrected. Everything else will require some level of filtration.